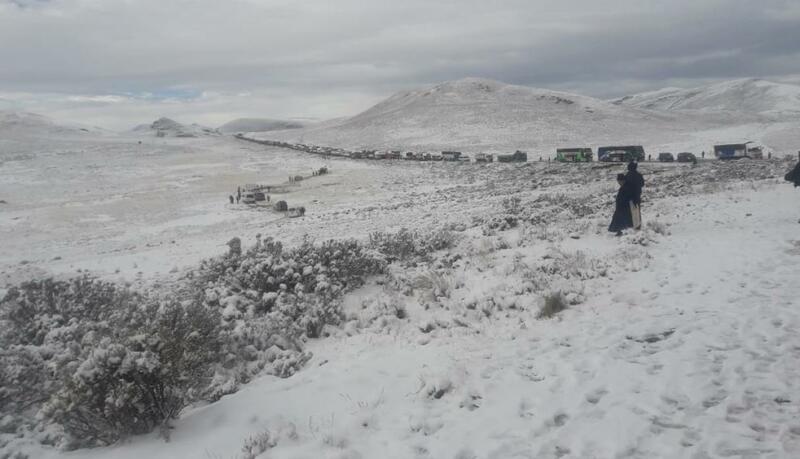 Intense snowfall restricts traffic in Apurímac, Arequipa and Puno [Video]. Many vehicles have skidded and capsized. 21 Jul 2018 – Layers of ice cover roads in the south of the country causing accidents. 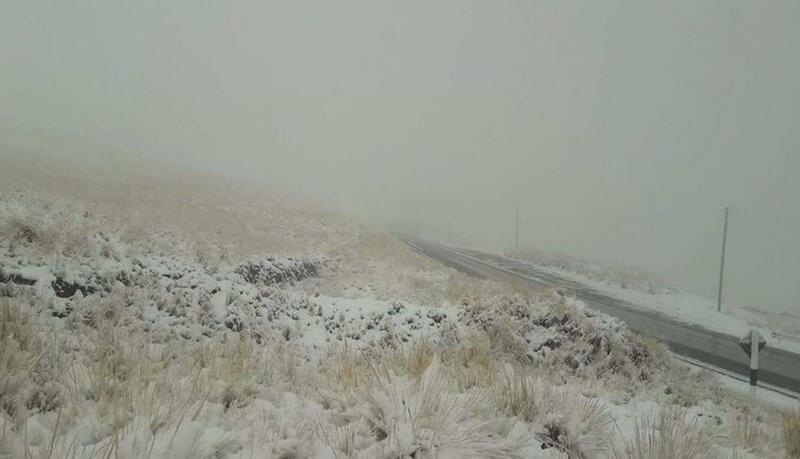 The road between Arequipa and Puno was blocked in sectors of Imata and Crucero Alto, where snow accumulated up to 10 cm high. Several drivers report that much of the road is covered by a layer of ice that has caused the loss of control of the units. Early today the vehicular pass between 130 and 140 kilometers was blocked, and declared in emergency for 48 hours. 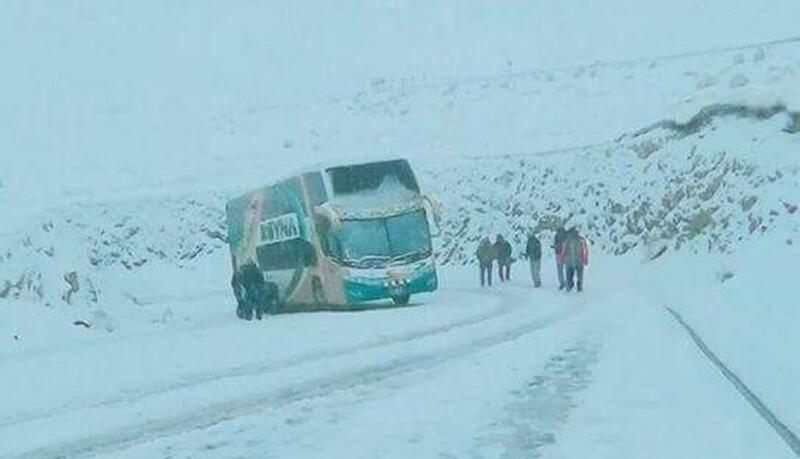 In Apurímac in the province of Aymaraes the snow reached 20 cm high. 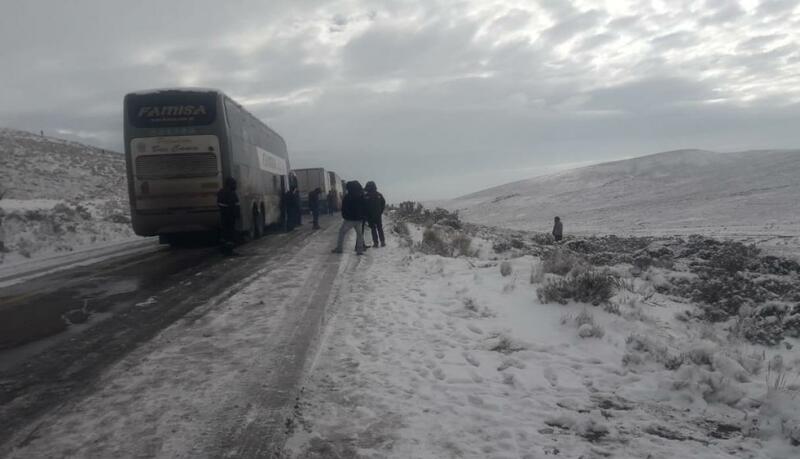 The affected districts are Challhuanca and Cotarusi, where the temperature reached -15 ° C (5 ° F). 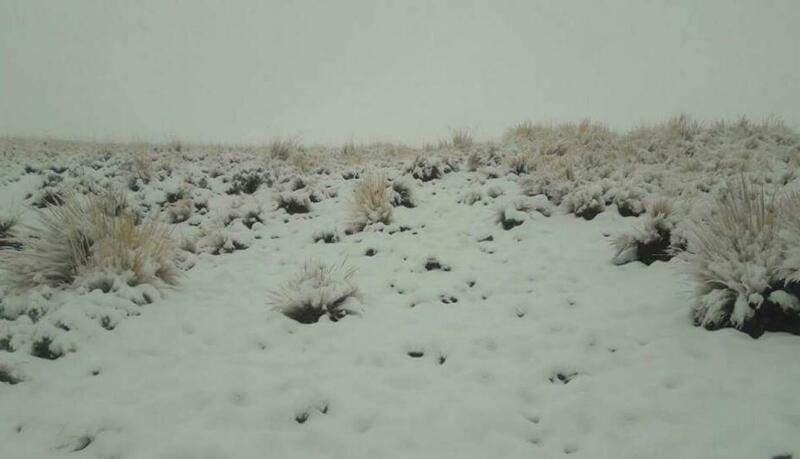 Senamhi reports that heavy snowfall and hail will persist until dawn Monday in high areas of Cusco, Puno, Apurimac, Arequipa, Moquegua, Tacna and Ayacucho. The snowfall will be accompanied by intense cold. 10CM? About 4 inches? Geez, we don’t even slow down for that little snow. Of course, it paralyzes GA or SC…. This would be a result of the extreme global heat wave the Earth’s inhabitants are currently suffering through. i thought snow was supposed to make it a bit warmer? @Gospace: How about 20 cm of snow? 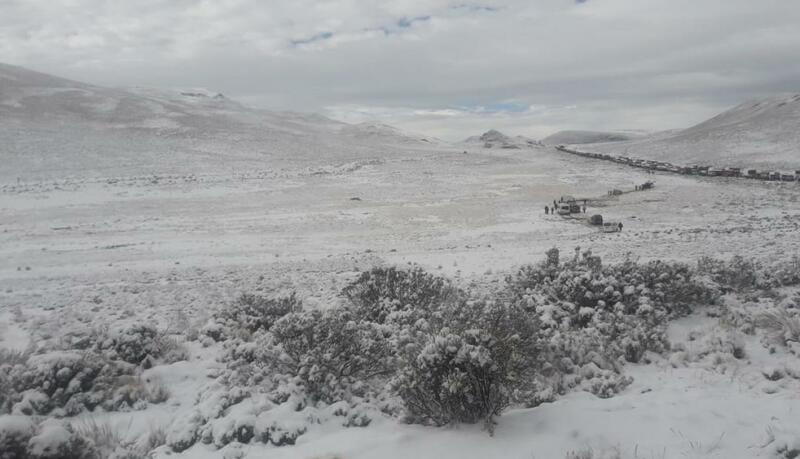 The regional director of Senamhi Puno, Sixto Flores Sancho, reported that the snow layers in some areas reached up to 20 centimeters high and there was an intense feeling of cold. Snow is only: Non-Heat Record Water Vapor. the Northwest is going to have an El Nino this fall. But I think it is going to stall. Our weather pattern is 30 days behind what we usually have. May was mild, June was wet and cold…even froze twice and I had to replant the garden. hay crop was good a cut but it took forever to dry so we could bail. It is still mid 50’s at night and fluctuates from high 80s to high 90s during the day. We still have August and September to go through but so far not much of a summer. My bets are that the northwest is going to be frigid with minimal snow this winter.